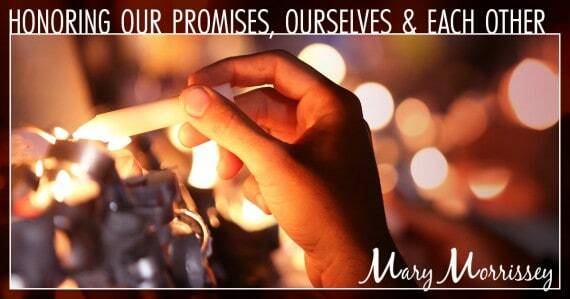 Many people struggle with keeping promises and agreements like the ones above, and others we make in our daily lives. It’s not that we don’t want to keep our word, often we just forget, or life gets in the way! As a result, we can end up with a string of broken promises if we’re not mindful. Over the past 40 years, I’ve had the honor and privilege of studying the principles and practices of many great religions, ancient philosophies, modern science and psychology. And while changing our minds from time to time when circumstances prevent us from keeping a promise is just part of being flexible in life, I’ve found that one holiday in particular offers us a unique opportunity to focus on following through on our commitments. Rosh Hashanah is the Jewish New Year, which marks the beginning of a ten-day period of prayer, self-examination and repentance. It’s a time for us to pause and examine the agreements and contracts you’ve made with yourself and others. Words flow around us all day long and sometimes are taken lightly. Promises, commitments and agreements can be made easily, but keeping them is often another matter. Adults might make promises to children about what they can have in the future, or children make may promises to adults about behaving better, for example. Then there are legal contracts, promises to pay money, agreements to spend time, and perhaps commitments to live into your marriage in a particular way. When you keep a promise, you are communicating to the other person that you value him or her. This can result in building trust in your relationships. More importantly, by keeping a promise, you are telling yourself that you value your own word. Keeping a promise to yourself is the same as respecting yourself and eventually, promises kept can increase your self-esteem, confidence and heighten your experience of life. Although your conscious mind may not remember all of the major and minor agreements you’ve made in the past, your subconscious mind most certainly does. For example: Maybe you’ve told yourself over and over again you’re going to clean the garage. Every time you pass the door to the garage or walk in the garage, you’re reminded that you haven’t cleaned it out yet. Now, even when you think about cleaning the garage, you may feel energy draining out of you. This feeling of decreased energy, vitality and aliveness can begin to build because your subconscious mind is busy trying to get you to fulfill on your incomplete promise. By spending time reflecting on and renegotiating the promises, agreements and commitments you’ve made but not kept, you can increase your energy, leading to more productivity, effectiveness and well-being. Yom Kippur is the holiest day of the year in Judaism and the last day of Rosh Hashanah. It’s also known as the day of atonement, or, as I like to say, the day of at-one-ment. 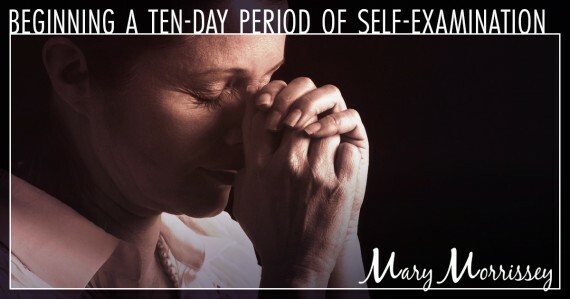 When you deliberately set aside ten days to self reflect, you’ll most likely feel very at peace with yourself. 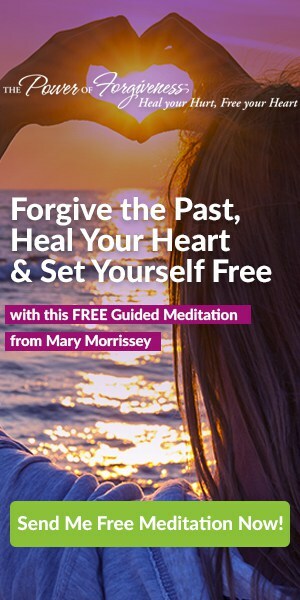 For all the places you’ve let yourself down or others down, you can forgive yourself. You’ve done your best job during those ten days, and now you can give yourself a fresh start and be ready for a new year to grow into who you’d love to be. Rosh Hashanah is an ancient tradition that anyone can practice and benefit from, whether you’re Jewish or not. As Rosh Hashanah approaches and you start to make your Jewish New Year’s resolutions, you can begin by thinking about promises you can make to yourself that will propel you toward your goals and dreams. To start, I’d recommend making small promises that you know you can accomplish in a short amount of time. When you follow through on smaller promises, you can develop a pattern of consistency that will enable you to follow through on bigger promises. Keeping your promises to yourself can empower you to change and grow. It can also increase your self-esteem, build your character and prove to yourself that what you say and do is valuable and worthy of creating the life you’d love living. Is there any area of your life where you find it relatively easy to make promises and more challenging to keep them? Exploring this question will help to clarify what’s most important to you in life so you can live and work according to your deepest values. I invite you to leave your reflections in the comments below. Whatever our experiences may be in life, by sharing them we can help others grow, and we can expand and evolve ourselves by hearing from others, too. So go ahead and leave a comment below, and join the conversation! Totally cierto!. This is the laws of the universe. Remembering the law of correspondence. Very happy I opened your email!! Your article is terrific and I’m grateful. Have often wondered what all the Jewish holidays are about. Some people don’t know and some people aren’t sharing. My offenses with being latee are more about me not paying attention, fatigue and failure to process, forgetfulness due to whatever reason,etc. Reflecting for 10 days may reveal more and truth. 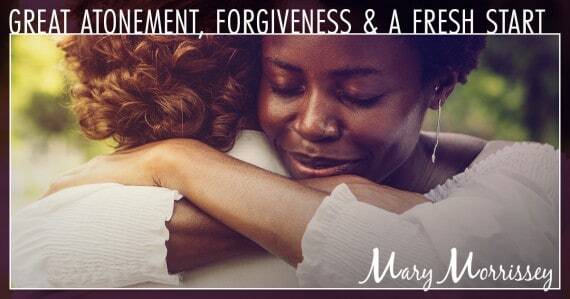 Looking forward to forgiving myself and a fresh start!! As a Jewish Israeli woman, I am grateful for this article and for the way you’ve used it to bring light to the world. I’d like to know more,about you! My main weakness is procrastination with matters I don’t like. Thank you for this article. I will try the 10 days approach and work out from there. I forgive myself for my weakness and for letting it grow. Thank you. Loved the video, I hear you! Mary I enjoy reading and listening to you talk . Do you have a web site that for women who are in a relationship that is mentel n emotional abuse need help to cope with this person I feel most of the time like crying . Wow! This has come to me at the perfect time. I just moved away from a draining adult child. I’ve been neglecting myself, health and life. I need to focus on my goals, weight, and future. Thanks for helping me to get it together. Thank you, Mary, for putting the value of this Jewish tradition in front of all of us to use its universal application! beautifully done! Ah, yes Mary! I too have a problem with procrastination! Or maybe I’m just lazy! Thank you for writing this . Am currently in France but a UK national . 10 days of reflection . I struggle with anxiety and fear of making a wrong decision. It paralyzes me. I’ve never thought of myself as a lazy person, but by not taking any action, I feel like I am. This is an excellent article amd I feel that you were talking to me. My greatest weakness is laziness and procrastination. So I’m forgiving myself for self negligence and promising to start setting goals with deadlines and completing them. Thank you for the time that you put into this article. I also have a big problem with procrastination and this article has opened my eyes, thank you!! I am a senior journalist, writer and a dreamer. I think my dream has come true. I am based in port city Karachi, the financial hub of a beautiful country called Pakistan. The second edition of my first book, “Khawab Lay Lo Khawab’ (Take away my dreams) based on my memoirs will be printed in three weeks. Another book, “Muft Lay Lo khawab” (Take Away my Dreams for free,) also based on my memoirs will be published in three-four months. This time I hope to make some savings. I am also working on my hypothesis, “Relationship betwwen nature and Homosapiens” and hope to write a 100-pages book, based on my hypothesis.